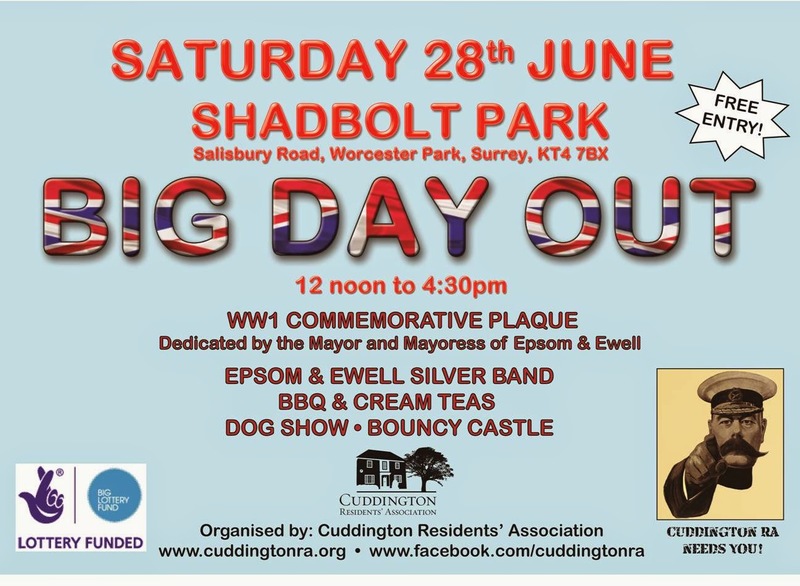 The Cuddington Residents's Association has organised a Big Day Out in Shadbolt Park on Salisbury Road tomorrow from midday until 4:30pm. This promises to be a grand affair and includes music and dancing as well as a dog show(!) and all the usual fun of such an event.